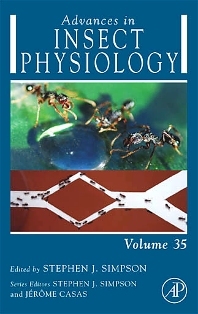 Advances in Insect Physiology publishes eclectic volumes containing important, comprehensive and in-depth reviews on all aspects of insect physiology. It is an essential reference source for invertebrate physiologists and neurobiologists, entomologists, zoologists and insect biochemists. First published in 1963, the serial is now edited by Steve Simpson and Jerome Casas to provide an international perspective.